And the prize goes to…. 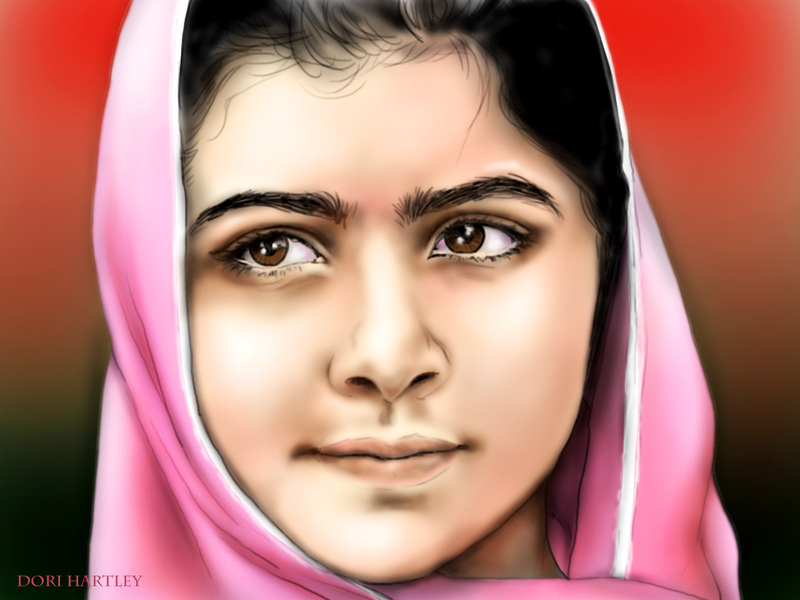 VERY disappointing outcome with the Noble Peace Prize; it was apparently awarded to a recent hot-button political issue and while one can argue that young Malala Yousafzai’s cause is political in a different sense, what a prize it would have been had it been bestowed upon her most inspiring efforts over this past year. Surviving the assassins’ bullet, making a miraculous recovery, and continuing to bolster her noble cause with all the stature of a Mahatma Gandhi for such a person in the early prime of life is truly a momentous occasion in itself; yet there is something more to Malala that stands above and beyond any mere political champion, because she too is a Mahatma—a great spirit. Watching her speak a few months back at the UN sent goose-bumps all over me; it was indeed a privilege to witness such a Noble Soul present itself in our own age. Personally I have nothing but anger and contempt for the Taliban bastards who attempted, and who still conspire, to stamp out her shining light. But then, to hear her own response—not one of hatred, but actually implanting in their thick skulls the realization that “she wishes for their own children” be afforded the gift of education, to chew on that for awhile before pulling the trigger again—what a jaw-dropping moment indeed! We have much to learn from this young Mahatma and my hope is that providence will afford her stay for generations to come. Malala Yousafzai is a true champion for the cause of freeing young girls and women from the millennium-long curse of ignorance that has been imposed upon them—a lone brilliant star shining in a dark age that still inflicts that broken part of the world. But her star shines for all of us as well. To be willing to face whatever form of ignorance and darkness inflicts us; to rise to the challenge of honoring that Noble Spirit that alone can free us. I totally stand in awe of Malala’s presence and am not worthy to even bend down and reverence her sweet feet. May those feet carry her ever onward into further regions of darkness that yearn for even a spark from her Noble Light. This entry was posted in Spirituality, Uncategorized and tagged Freedom, Malala, Malala Yousafzai, Noble Light, Noble Peace Prize, UN. Bookmark the permalink. 2 Responses to And the prize goes to…. Just watched an interview with this young lady. She sounded like Gandhi, at 16! Praise to her spirit.